Will anyone in the DUP break rank over Brexit? WHEN Peter Robinson gave his last speech as party leader at the DUP’s annual conference in 2015, he couldn’t have sounded more confident about unionism’s future. His exuberant tone papered over obvious cracks. A series of controversies had fuelled internal disquiet that saw him eased out of office. But he could rightly claim that by the end of his 40 year career he had installed the DUP as the lead voice of unionism, shedding its fundamentalist image to become a party of government, a party of business, and a party with the clout to take the bold steps required to protect the Union. Now, however, unionism's future is suddenly unclear. 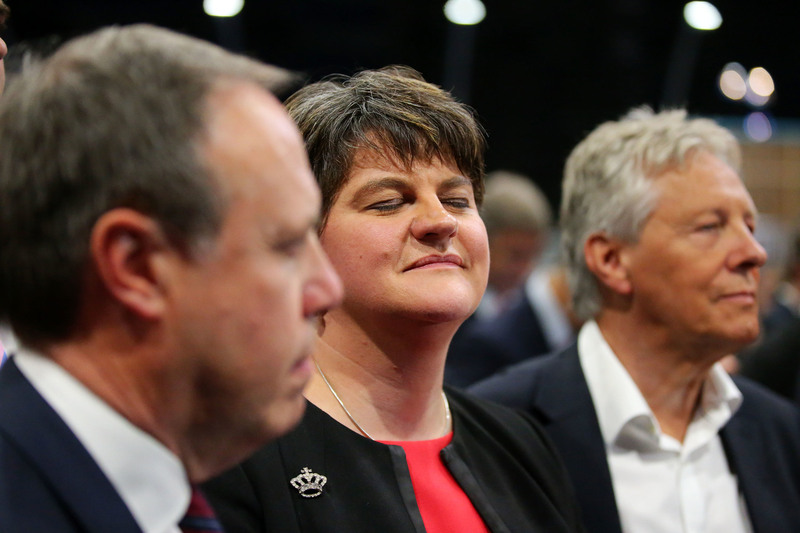 This year's conference heard denunciations of the party's perceived enemies, but in quieter moments will the DUP recognise the damage it is doing to its own cause? 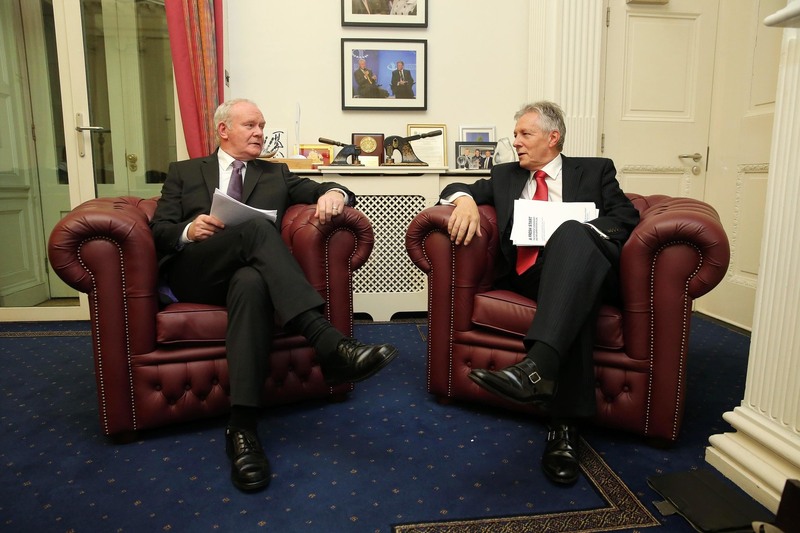 Martin McGuinness and Peter Robinson when they shared Stormont's top office. Shortly after the DUP and Sinn Féin began sharing power at the Northern Ireland Assembly in 2007, republicans saw their hopes of an electoral bounce in the Republic of Ireland fall flat. With Sinn Féin marooned at Stormont, the DUP had a golden opportunity to undermine the republican aim of Irish reunification. The timing could not have been better. The Protestant/unionist majority created at Northern Ireland's foundation was on course to be replaced by a Catholic/Irish nationalist majority. Under Peter Robinson, the DUP had a plan to woo that community - not into becoming DUP voters, that would be much too ambitious - but into becoming more content with life in a new Northern Ireland. Imagine if the DUP had responded positively to the opportunity presented in 2007? Imagine if it had led a scrupulously fair administration, delivered modest protections for the Irish language, dealt with the toxic legacy of the Troubles, embraced north-south relations and ensured nationalist strongholds such as Derry/Londonderry prospered? But the party's record in government was instead characterised by repeated financial controversies and a refusal by hardliners to respect the Irish identity. In September 2015 The Detail ran a billboard campaign warning that Stormont risked failing whole swathes of society if didn't address issues such as equality. Arlene Foster with DUP deputy leader Nigel Dodds and former leader Peter Robinson. 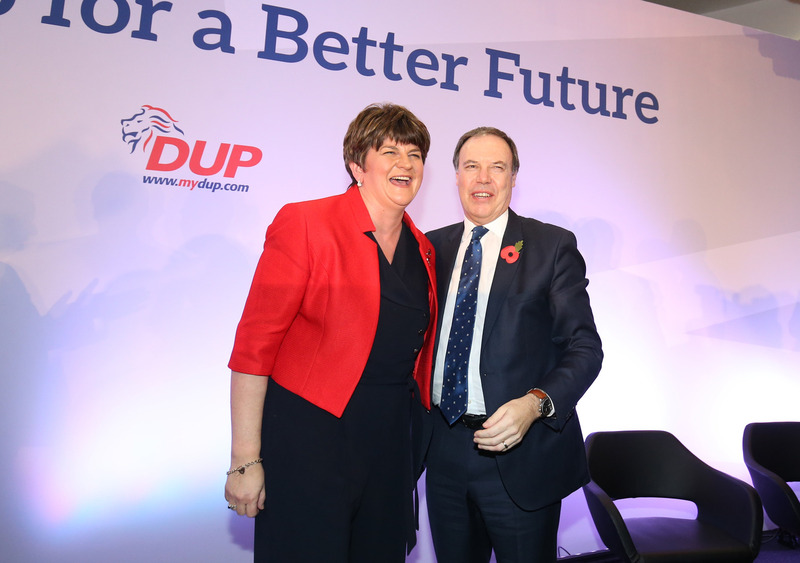 Arlene Foster took the helm in December 2015 and enjoyed early electoral success. But The Detail noted here at the time that “although the ‘Arlene’ rebrand seems to be going well for the DUP, it has yet to be stress-tested”. In February 2016 Mrs Foster announced her party would back Brexit. Stormont civil servants had already warned of the economic risks in a pre-referendum report which remained secret until it was obtained by The Detail months afterwards. The implications of the UK's Brexit decision were mounting by the day, when the DUP-linked Renewable Heat Incentive scandal suddenly rocked Stormont in late 2016. When the year ended with DUP cuts to an Irish language fund for people from disadvantaged backgrounds, it ignited the tinderbox of nationalist grievances. In the snap elections that followed, nationalists welcomed Stormont's fall, they turned away from Westminster and they became more focused on something they had ignored for years: the Irish border. The DUP’s deal to prop-up the weak Conservative government has gifted it with an unexpected tactical advantage. Once again, the DUP has a chance to win over Irish nationalists to the constitutional status quo. By embracing a special Brexit deal for Northern Ireland, retaining the best aspects of EU membership and UK membership, the DUP could reassure nationalists and secure the Union. But, once again, it is doing the opposite. Some in the DUP hope Brexit can cement the Irish border, to be a bulwark against change and increase economic dependence on London. But if such negative tactics didn’t work at Stormont, they are unlikely to work on the bigger battlefield of Brexit. They are more likely to give the old question of Irish unity a 21st century reboot. There are dissenting voices within unionism, and even in the DUP, who see the dangers. Will they ever speak up?